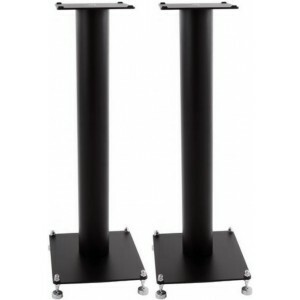 Custom Design RS300 are award winning speaker stands designed and manufactured in the UK, available in mercury (pictured) or black with either a steel base or 6mm clear glass base. The RS300 is hand made and finished with 4mm welded inserts combined with M8 fixing bolts for total integrity. The design includes laser precision, hand finished 4mm steel top and base plates combined with zinc plated M8 fixing bolts for total integrity and joint rigidity. Hand polished steel plates connect to an ERW BS EN 10305-3 Steel 76mm tube, reflecting the attention to detail and standards of quality that Custom Design provide to all of their customers. We also manufacturer our world renowed Inert Acoustic Steel and Aluminium products. 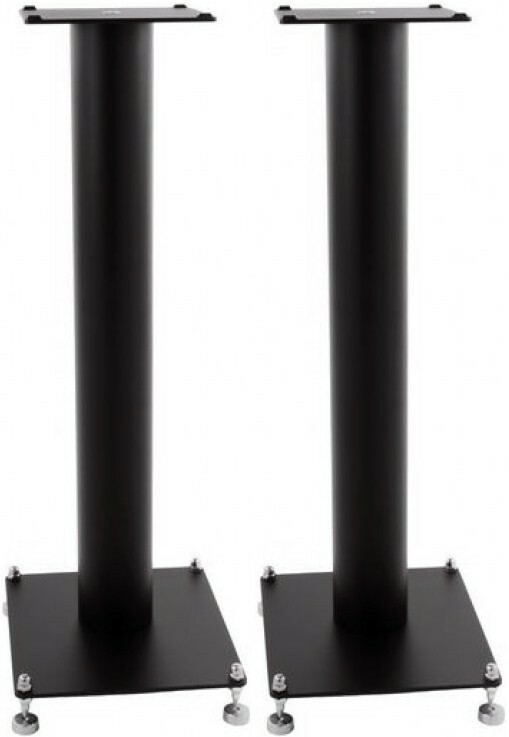 By combining 76mm steel support columns with medium mass 4mm steel top and base plates, Custom Design have designed a minimal speaker stand with the initial mass of 10kg, without filler or final mass of 16kg when loaded with the recommended amount of filler (Atacama Atabites are ideal for this). RS300 are aesthetically pleasing supports that sound good too. The design provides significant initial mass, final mass and when combinded with Acoustic Top plates reduces vibration noise significantly for an improved preformance and sound quality (see inert filler and Acoustic Steel Graph). 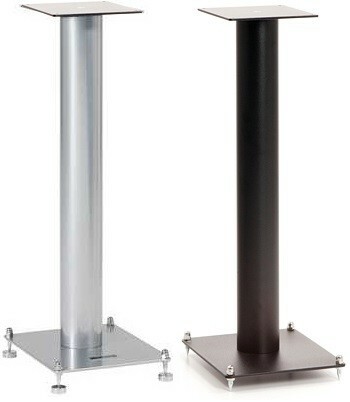 These stands are both modern and contemporary with true aesthetic appeal. Custom Heights available on request.